Apple has started the pre-order process for iPad Wi-Fi and iPad 3G in the UK - pricing is shown below. iPad will be shipped in the UK (and Australia, Canada, France, Germany, Italy, Japan, Spain and Switzerland) in time for delivery on Friday 28 May. iPad will be sold through the Apple Store, Apple's retail stores and select Apple Authorised Resellers. 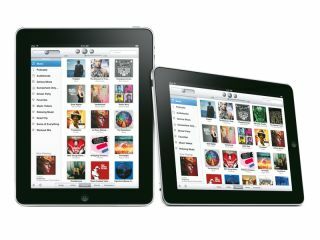 The iBooks app for iPad including Apple's iBookstore will be available as a free download from the App Store on 28 May. Apple plans to release the iPad in Austria, Belgium, Hong Kong, Ireland, Luxembourg, Mexico, Netherlands, New Zealand and Singapore in July. Thinking of buying one? Check out our in-depth Apple iPad review.